The 3 Series Sedan has standard Active Head Restraints, which use a specially designed headrest to protect the driver and front passenger from whiplash. During a rear-end collision, the Active Head Restraints system moves the headrests forward to prevent neck and spine injuries. The CTS Sedan doesn’t offer a whiplash protection system. The 3 Series Sedan (except 320i) offers an optional Side and Top View Cameras to allow the driver to see objects all around the vehicle on a screen. The CTS Sedan only offers a rear monitor and front and rear parking sensors that beep or flash a light. That doesn’t help with obstacles to the sides. Both the 3 Series Sedan and the CTS Sedan have standard driver and passenger frontal airbags, front side-impact airbags, driver and front passenger knee airbags, side-impact head airbags, front seatbelt pretensioners, plastic fuel tanks, four-wheel antilock brakes, traction control, electronic stability systems to prevent skidding and available all-wheel drive. The 3 Series Sedan’s corrosion warranty is 6 years longer than the CTS Sedan’s (12 vs. 6 years). J.D. 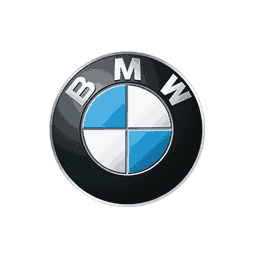 Power and Associates’ 2014 Initial Quality Study of new car owners surveyed provide the statistics that show that BMW vehicles are better in initial quality than Cadillac vehicles. J.D. Power ranks BMW 8th in initial quality, above the industry average. With 7 more problems per 100 vehicles, Cadillac is ranked 13th. Regenerative brakes improve the 3 Series Sedan’s fuel efficiency by converting inertia back into energy instead of wasting it. The CTS Sedan doesn’t offer a regenerative braking system. In heavy traffic or at stoplights the 3 Series Sedan’s engine automatically turns off when the vehicle is stopped, saving fuel and reducing pollution. The engine is automatically restarted when the driver gets ready to move again. (Start/Stop isn’t accounted in present EPA fuel mileage tests.) The CTS Sedan doesn’t offer an automatic engine start/stop system. The 320i handles at .92 G’s, while the CTS Sedan Luxury AWD pulls only .81 G’s of cornering force in a Motor Trend skidpad test. The 335i xDrive executes Motor Trend’s “Figure Eight” maneuver 1.2 seconds quicker than the CTS Sedan Luxury AWD (25.6 seconds @ .75 average G’s vs. 26.8 seconds @ .65 average G’s). The BMW 3 Series Sedan may be more efficient, handle and accelerate better because it weighs about 150 to 350 pounds less than the Cadillac CTS Sedan. The 3 Series Sedan is 1 foot, 1 inches shorter than the CTS Sedan, making the 3 Series Sedan easier to handle, maneuver and park in tight spaces. The 3 Series Sedan has .2 inches more rear headroom and .3 inches more rear shoulder room than the CTS Sedan. To make loading groceries and cargo easier when your hands are full, the 3 Series Sedan’s available trunk can be opened just by kicking your foot under the back bumper, leaving your hands completely free. The CTS Sedan doesn’t offer a hands-free gesture to open its trunk, forcing you to put cargo down if your hands are full. If the windows are left down on the 3 Series Sedan w/Comfort Access the driver can raise them all using the key in the outside lock cylinder. On a hot day the driver can lower the windows from outside the vehicle using the key in the outside lock cylinder or the keyless remote. The driver of the CTS Sedan can only raise the windows from inside the vehicle, with the ignition on. The 3 Series Sedan has a standard locking fuel door with a remote release located convenient to the driver. A locking fuel door helps prevent vandalism, such as sugar in the tank and fuel theft. The CTS Sedan doesn’t offer a locking fuel door. The 3 Series Sedan’s rain-sensitive wipers adjust their speed and turn on and off automatically based on the amount of rainfall on the windshield. This allows the driver to concentrate on driving without constantly adjusting the wipers. The CTS Sedan’s standard manually variable intermittent wipers have to be constantly adjusted. Heated windshield washer nozzles are standard on the 3 Series Sedan to prevent washer fluid and nozzles from freezing and help continue to keep the windshield clear in sub-freezing temperatures. The CTS Sedan doesn’t offer heated windshield washer nozzles. In poor weather, headlights can lose their effectiveness as grime builds up on their lenses. This can reduce visibility without the driver realizing. The 3 Series Sedan offers available headlight washers to keep headlight output high. The CTS Sedan doesn’t offer headlight washers. 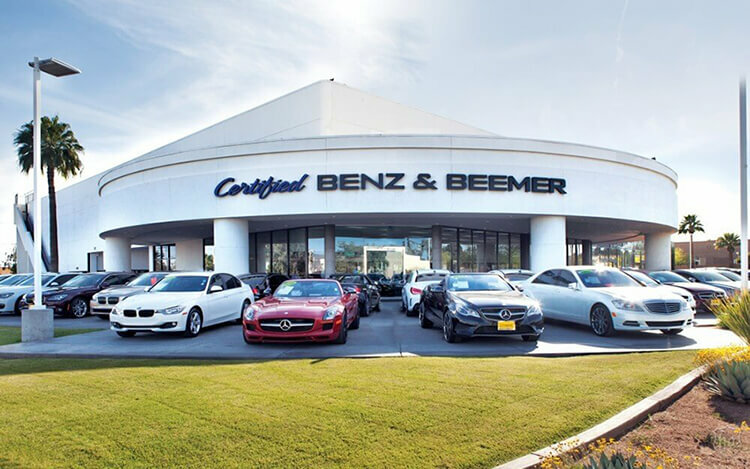 Intellichoice estimates that five-year ownership costs (depreciation, financing, insurance, fuel, fees, repairs and maintenance) for the BMW 3 Series Sedan will be $8911 to $14602 less than for the Cadillac CTS Sedan. The 3 Series was selected by Automobile Magazine as their 2006 Car of the Year. The CTS Sedan has never been chosen. The BMW 3 and 4 Series outsold the Cadillac CTS by over four to one during the 2014 model year.